John Pasicznyk and Olivia Peck. On April 30, the Women Builders Council, Inc. (WBC) commemorated its 10th Anniversary by holding the 2014 Champion Awards Dinner at Gotham Hall in New York City. 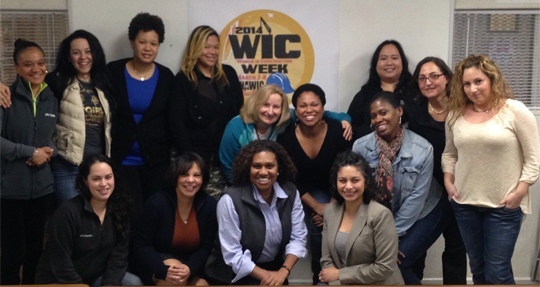 This important event recognized the growing role of women's leadership in the construction industry. 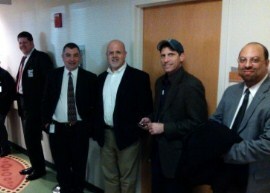 DASNY was well represented among its honorees. The WBC honored Carra Wallace, previously the Managing Director of DASNY's Office of Executive Initiatives (OEI) and now the Chief Diversity Officer for New York City Comptroller Scott M. Stringer, for her dedication to diversity and inclusion. Other OEI staff, including, Olivia Peck, Arleen Williams, Marilyn Fountain and Mitzi Stewart were recognized for their efforts in regard to MWBE outreach and compliance. On Friday, March 21, 2014, Harlem Hospital celebrated the ribbon cutting of the Marshall C. England Emergency Department. The event marked the completion of Harlem Hospital Center's five-year, $264 million modernization project. The result is an expanded adult and pediatric Emergency Departments & Level 1 Trauma Center. A special thanks to the DASNY team for their efforts in seeing this project through to completion: Peter Jackson, Senior Project Manager, Ron Gecsedi, Chief Project Manager, Betsy Rios, Senior Assistant Project Manager, Christopher Headley, Field Representative and Colleen Parkinson, Project Accountant. DASNY was pleased to be a part of the project and we join the hospital in commemorating this important milestone. The American Institute of Architects (AIA) of New York State hosted the Excelsior Awards Program for Public Architecture on April 28 in Albany. This new program celebrates design and professional excellence in publicly-funded architecture in New York State. DASNY is pleased to have join with the other state entities and AIA New York State in developing the Excelsior Awards Program.Paul Koopman and Sandy Daigler attended on behalf of DASNY. The award categories were New Construction, Historic Preservation and Renovations/Additions. The winners are listed below by category along with their award winning project. Lee Harris Pomeroy Architects, P.C. Lee Harris Pomeroy Architects P.C. 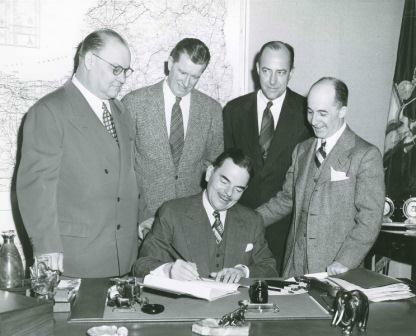 On April 5, 1944, Governor Thomas E. Dewey signed the law which created DASNY (the Dormitory Authority of the State of New York) for the purpose of financing and constructing dormitories at 11 State Teachers' Colleges across New York State. DASNY’s mission has expanded since its first bond issuance in 1949 in the amount of $10.3 million. 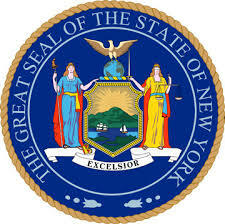 Today, DASNY is involved in the financing or construction of critical social infrastructure across New York State, including hospitals, facilities for public and private colleges and universities, libraries, court houses and specialized laboratories. 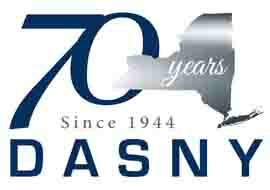 DASNY celebrated 70 years on April 5, 2014, To commemorate the occasion, we created this video highlighting our presidents, current board members, program developments, projects and major milestones reached. We are proud of our achievements and advancements...look how far we have come over the years. 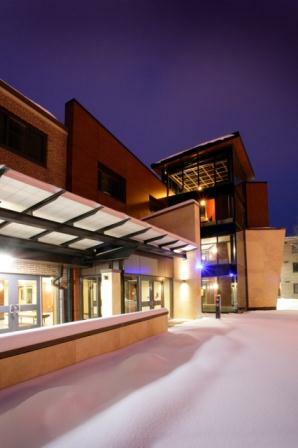 In the Winter 2014 issue of Access DASNY, we featured SUNY Cortland’s Dragon Hall and we are proud to report that the project just received LEED Platinum Certification! 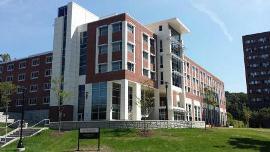 This is SUNY’s first LEED Platinum certified residence hall. Some notable features include: improved thermal envelope (wall and roof insulation), reduced heat gain from solar shades, reduced interior and exterior lighting power, advanced controls for HVAC and lighting, high-efficiency chiller and condensing boilers, reduced hot water demand from low-flow faucets and showers and a 27 kw solar photovoltaic (PV) renewable energy system. Congratulations to the entire project team on a job well done. DASNY recently provided technical assistance, oversight and funds distribution for the Van Keuren Square construction project funded by the Homeless Housing Assistance Program (HHAP). The project combines housing with supportive services such as case management, medical care, alcohol and substance abuse treatment, mental health treatment, benefits counseling, job training and employment opportunities. This is just one example of the diversity in today’s DASNY construction work.The $8.35 million project provided 50-bed, apartment-style housing units (44 one-bedroom and 6 two-bedroom) for veterans who are participants of the Syracuse VA Medical Center Healthcare for Homeless Veterans Program. The LEED rating system strives to continuously improve green building; accordingly, the system is updated every few years. Version 4 recently launched and to prepare DASNY for using this tool, 80 staff from our Construction Division attended “In the Trenches” training. How will the changes affect us? We’ll need education on some new technologies, systems thinking and integrative design processes. We’ll need to adjust some design guidelines, contracts, and RFPs for consultants. How will the changes affect our customers? Our customers should continue to expect excellent value from DASNY work, and will additionally benefit from a LEED system that helps them achieve their ongoing operational performance goals. Got news to share? Want to learn something new? Please send your ideas to: DASNYNews@dasny.org.